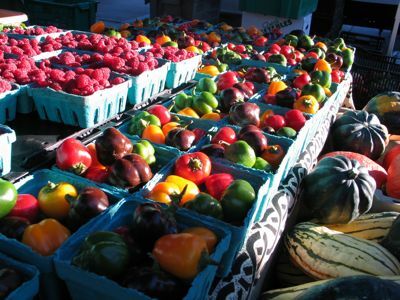 There is an urgent need to maintain the incredible food diversity of North America because of the important ecological, culinary, cultural, and health benefits of biodiversity. Have you ever eaten a meal rich with juices, flavors, and fragrances that have taken centuries to develop? A delicate, dark red strawberry that was the backbone of the U.S. berry industry, an oily fish that built trade routes in the Northwest, a hot pepper that tells the story of Minorcan immigration to Florida—these are the stories of North American traditions that lie hidden within our foods. Yet many of these foods have been rapidly disappearing from our tables. With these losses come a decline in traditional ecological and culinary knowledge, and declines in the food rituals that link communities to place and cultural heritage. If these culinary delights persist only in our history books, we will have lost an important cultural legacy and future generations will be deprived of the nutrition and exquisite flavors found in these heritage foods. Plant and animal diversity sustains healthy ecological relationships and sustainable agricultural practices. This diversity also encourages resistance to pests and diseases, ensuring our food security. Inherent in a diversity of foods is a variety of aromas, textures, and flavors that increase pleasure and help us along in our pursuit of happiness. Our daily meals come from the strong hands and creative minds of individuals in food-producing communities. Traditional agricultural and culinary knowledge is passed from one practitioner to the next. This knowledge about how to harvest and cook the plants and animals around us is key to our survival as a species and worth documenting and celebrating. Getting nutrients from whole foods that are adapted to the regions in which we live and work helps our resistance to disease, particularly diabetes and heart disease. and environmentally sustainable food service businesses. sustainability and pleasure in the food we eat. ALBC is a nonprofit membership organization working to protect over 180 breeds of livestock and poultry from extinction. Founded in 1977, ALBC is the pioneer organization in the U.S. working to conserve historic breeds and genetic diversity in livestock. The organization's mission is to ensure the future of agriculture through the genetic conservation and promotion of endangered breeds of livestock and poultry. Gary Paul Nabhan, PhD., is an Arab-American writer, lecturer, food and farming advocate, rural lifeways folklorist, and conservationist whose work has long been rooted in the U.S./Mexico borderlands region he affectionately calls "the stinkin' hot desert." He recently accepted a tenured professorship as a Research Social Scientist based at the Southwest Center of the University of Arizona--- his alma mater. 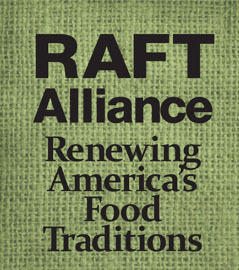 Gary is the founder and facilitator of the RAFT Alliance.